Vadim Volos, Global Director of the Anholt-GfK Nation Brands Index, in this interview reflects on country brands, national image and how the Good Country Index complements GfK's annual nation brand perception survey. 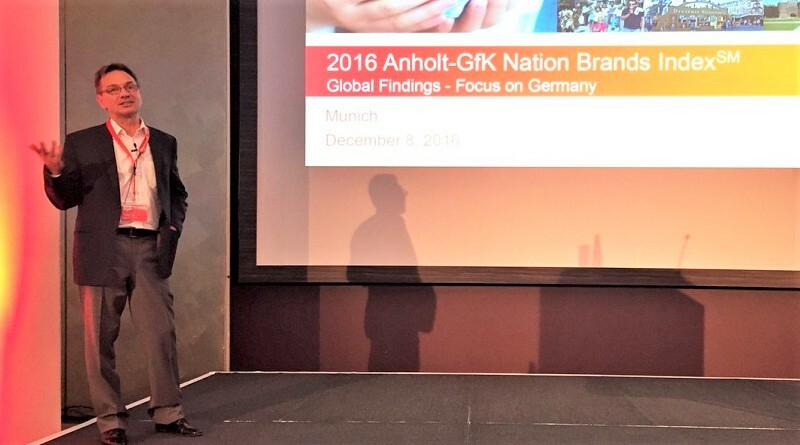 Vadim, as Global Director of the Anholt-GfK Nation Brands Index, you are in constant touch with public opinion, especially linked to the image and perceived performance of countries. Do you remember when you first came across the idea of countries – or nations – as brands? What led you to your current role? In my 20-plus years of practicing brand research, I frequently conducted surveys and qualitative work around the concepts of image and reputation, mostly related to companies and organizations. In my mind, company or organization “brands” and brands of their products and services are not identical and require different analytical frameworks. That’s the paradigm I followed before meeting Simon Anholt, who pioneered an idea of applying this branding notion to nations or groups of nations, such as EU or NATO. The other stream of experience that led me to a role of “nation brand expert” is my continuing work on public opinion polling around the world, where we often ask questions such as what people of nation X think about policies, leaders, and culture of nation Y, exploring affinities and hostilities in opinions about other countries and cultures. In partnering with Simon, the road met the rubber, so to speak, as my work on reputation and public opinion research informed my conversations with governments and analysis of their nations’ image, using the Anholt model, and beyond that in more custom nation brand and image measurements.